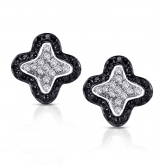 A dazzling pair of earrings is the perfect way to complete any outfit, whether you’re heading to the movies or hitting the red carpet. 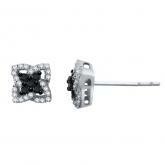 Our fashion earrings collection offers a wide selection of gorgeous pre-made earring designs, featuring stud earrings, dangle settings, and unique fashion shapes. 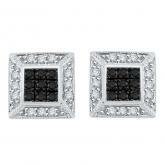 Certified 10k White Gold Black Round Cut Diamond Earrings 0.50 ct. tw. 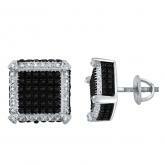 Certified 10k White Gold Black & White Round Cut Diamond Earrings 0.40 ct. tw. 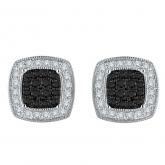 Certified 10k White Gold Black & White Round Cut Diamond Earrings 0.50 ct. tw. 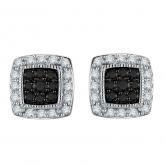 Certified 10k White Gold Black & White Round Cut Diamond Earrings 0.75 ct. tw. 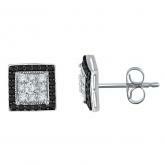 Certified 10k White Gold Black & White Round Cut Diamond Earrings 1.25 ct. tw. 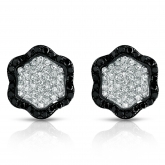 Certified 10k White Gold Black & White Round Cut Diamond Earrings 0.65 ct. tw. 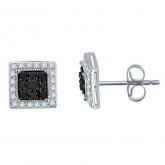 Certified 10k White Gold Black Round Cut Diamond Earrings 0.15 ct. tw. 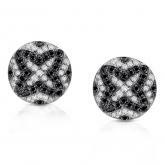 Certified 10k White Gold Black & White Round Cut Diamond Earrings 0.58 ct. tw. 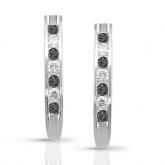 Certified 10k White Gold Whit and Black Round Cut Diamond Earrings 0.75 ct. tw. Certified 10k White Gold White & Black Round Cut Diamond Earrings 0.75 ct. tw. 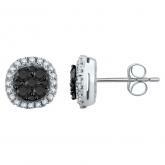 Certified 10k White Gold Black & White Round Cut Diamond Earrings 0.38 ct. tw. 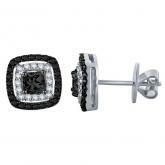 Certified 10k White Gold Black & White Round Cut Diamond Earrings 0.33 ct. tw. 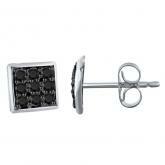 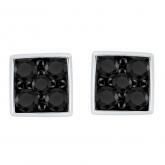 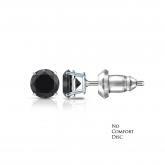 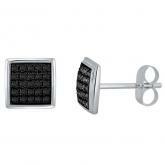 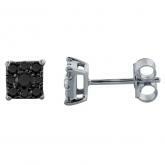 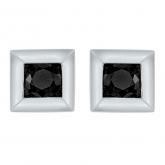 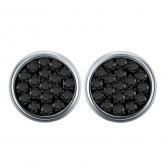 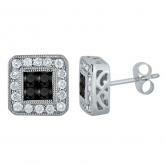 14k White Gold Black Round-Cut Diamond in a Bezel Setting Earrings 0.15 ct. tw. 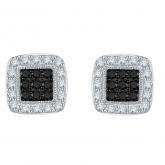 Certified 10k White Gold Black Princess Cut Diamond Earrings 0.10 ct. tw. 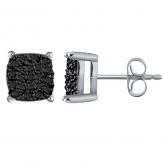 Certified 10k White Gold Round Cut Black Diamond Earrings 0.15 ct. tw. 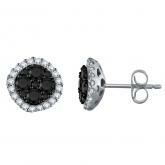 14k Yellow Gold 3-Stone Black Round-Cut Diamond Earrings 0.50 ct. tw. 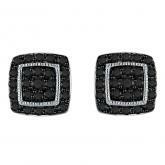 Certified 10k White Gold Black Round Cut Diamond Earrings 0.07 ct. tw. 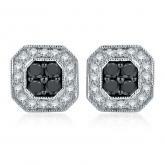 Certified 10k White Gold White & Black Round Cut Diamond Earrings 0.65 ct. tw. Certified 10k White Gold Round Cut Black Diamond Earrings 0.13 ct. tw. 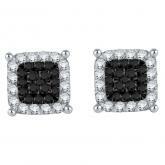 Certified 10k White Gold Black Round Cut Diamond Earrings 0.38 ct. tw. 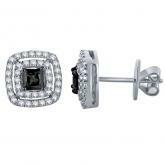 Certified 10k White Gold Black Round Cut Diamond Earrings 0.08 ct. tw. 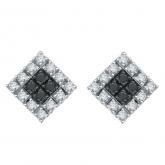 Certified 10k White Gold Black & White Round Cut Diamond Earrings 0.28 ct. tw. 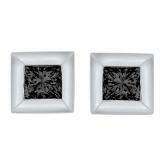 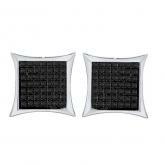 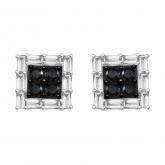 Certified 10k White Gold Black & White Round & Emerald Cut Diamond Earrings 0.50 ct. tw. 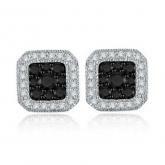 Certified 10k White Gold Black Round Cut Diamond Earrings 0.58 ct. tw. 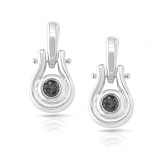 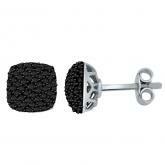 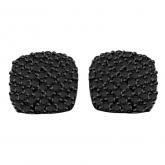 Certified 10k White Gold Round Cut Black Diamond Earrings 0.10 ct. tw. 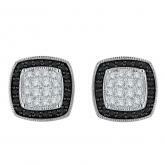 Certified 10k White Gold Black Round Cut Diamond Earrings 1.00 ct. tw.